Made with Vintage 60s charms. 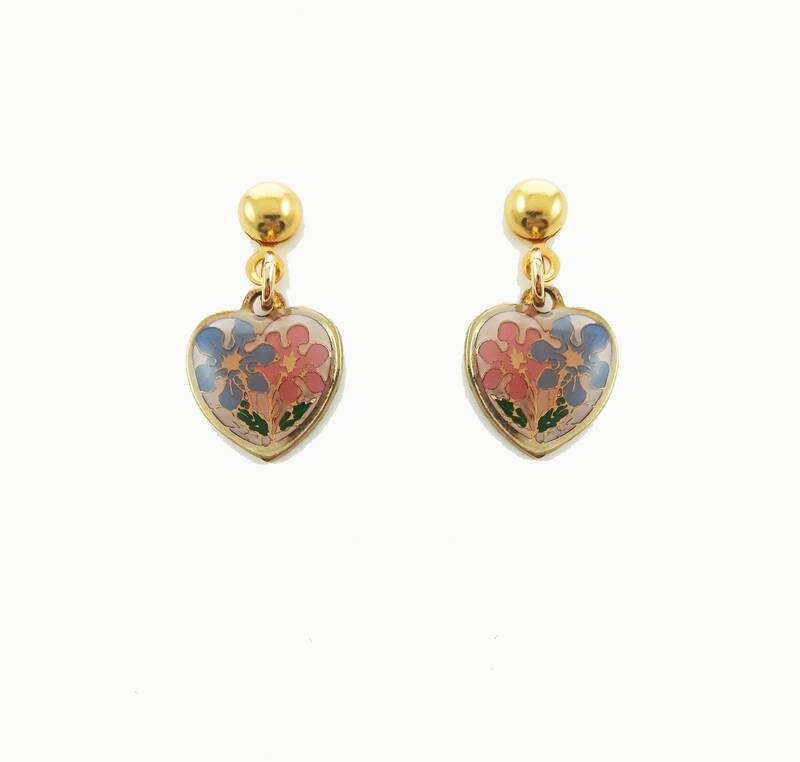 Tiny Vintage Floral Hearts paired with new Gold Plated Studs. Dimensions: 20mm H x 10mm W.
Materials: Gold plated brass, enamel and resin.